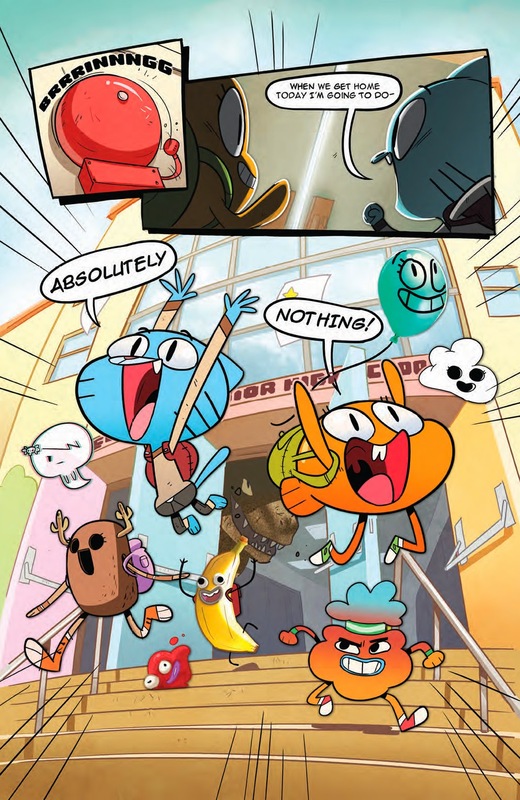 Gumball thinks he's the coolest kid on the block, but how often does reality line up with perception? 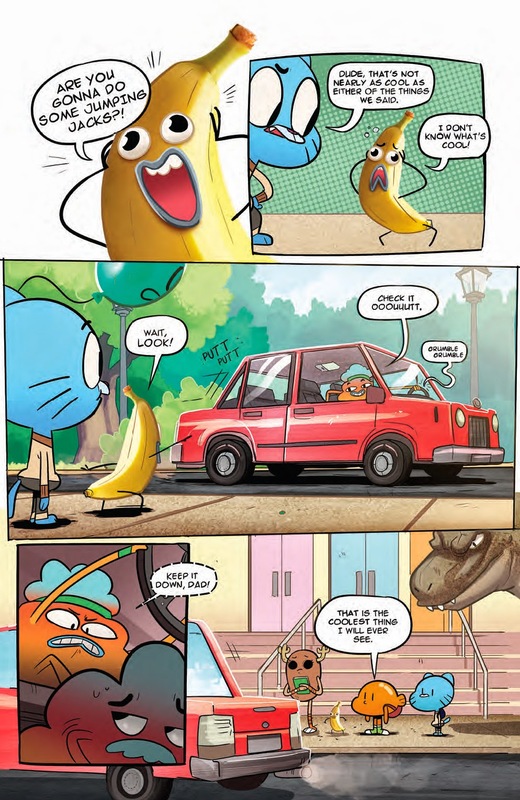 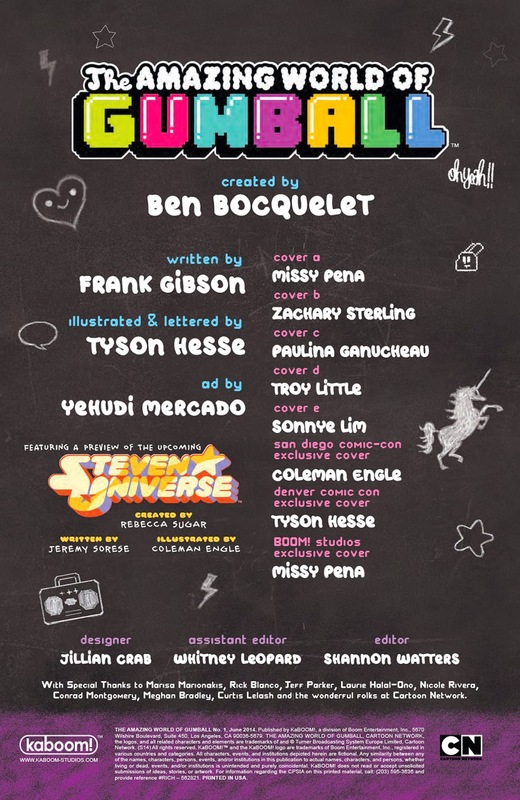 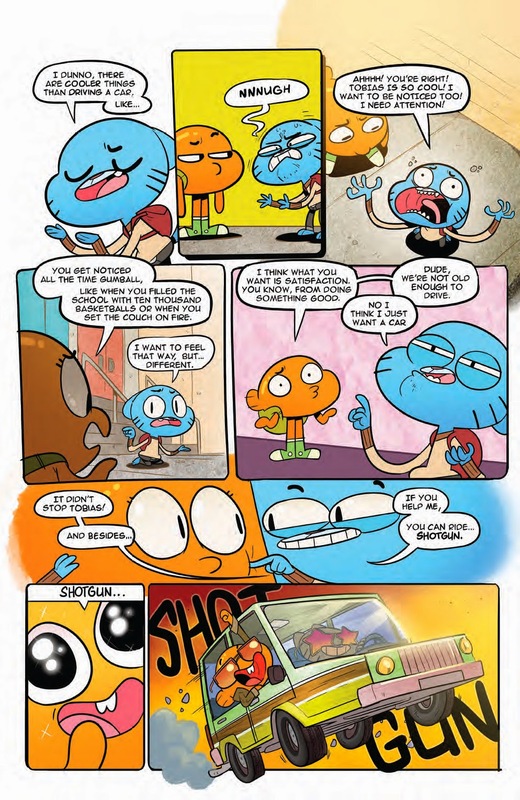 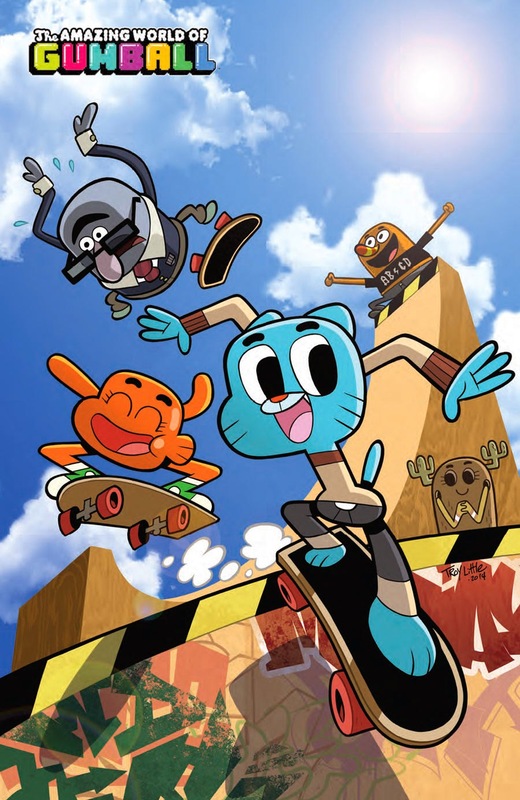 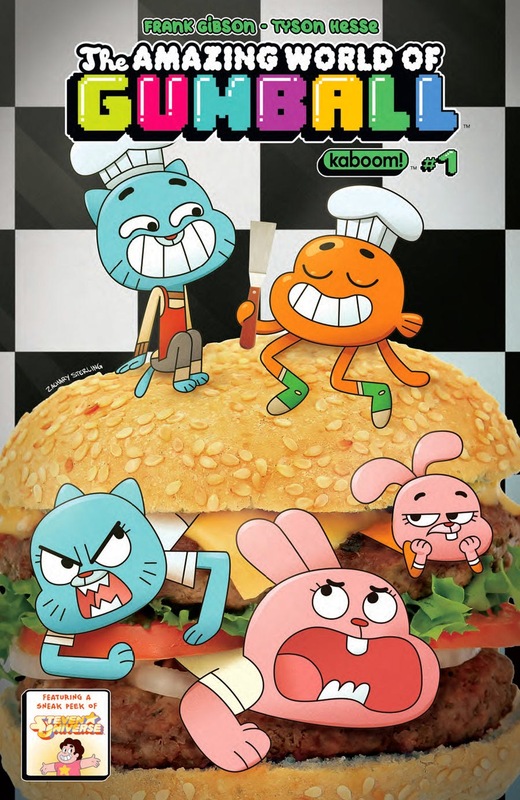 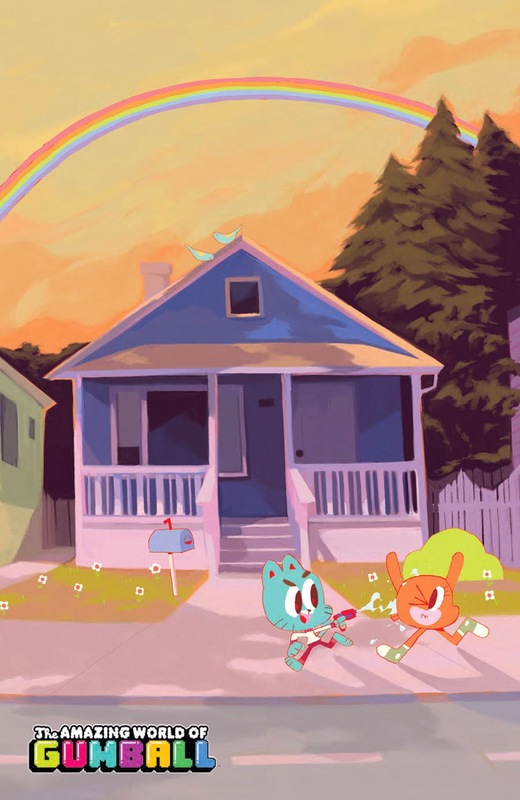 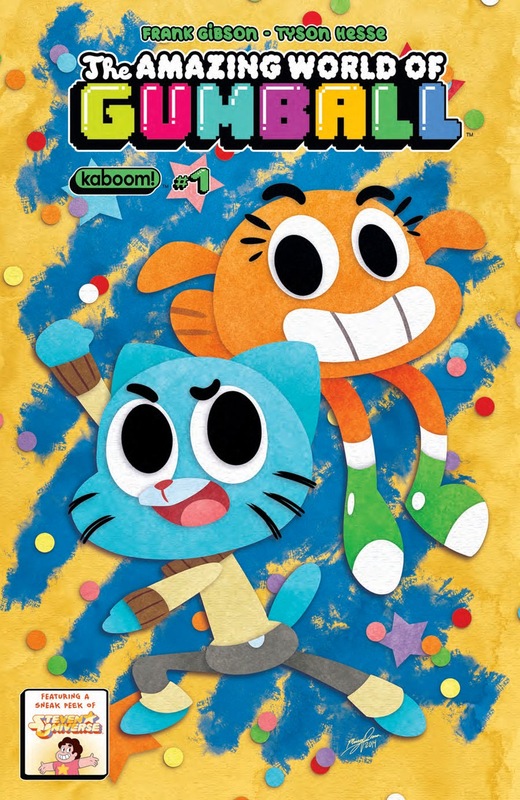 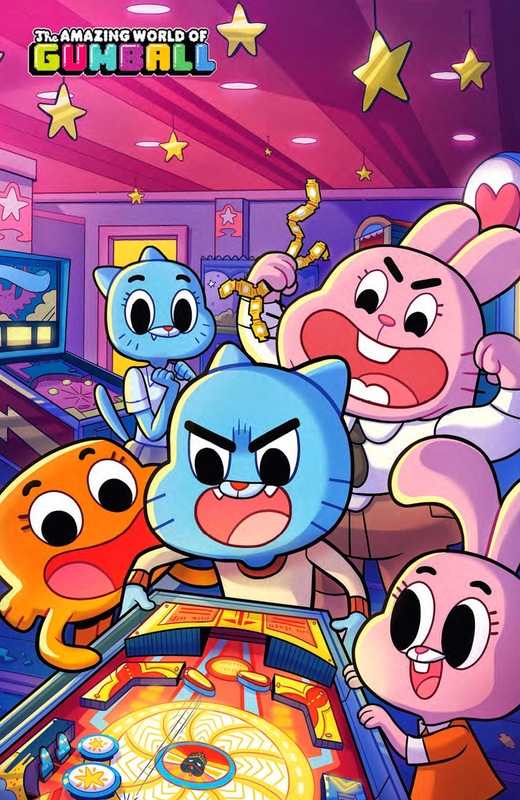 In The Amazing World of Gumball #1, Gumball's little sister Anais begs to differ and Darwin seeks to keep everyone out of trouble. 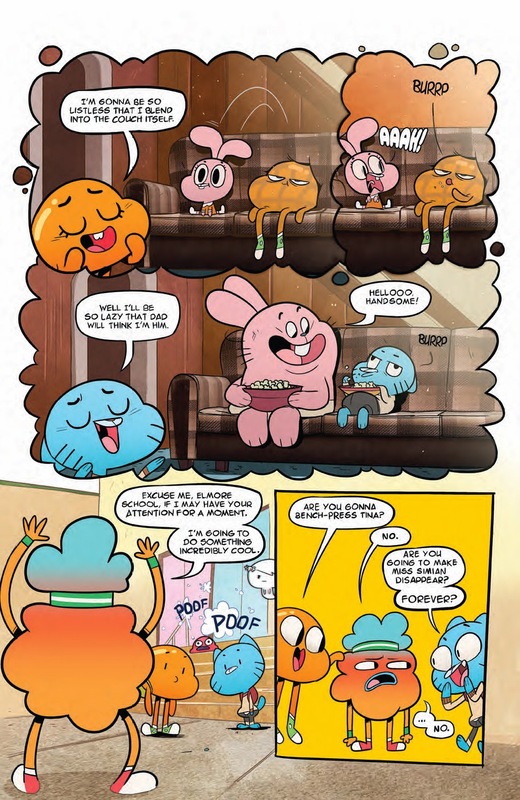 All that and more in the issue written by Frank Gibson and illustrated by Tyson Hesse. 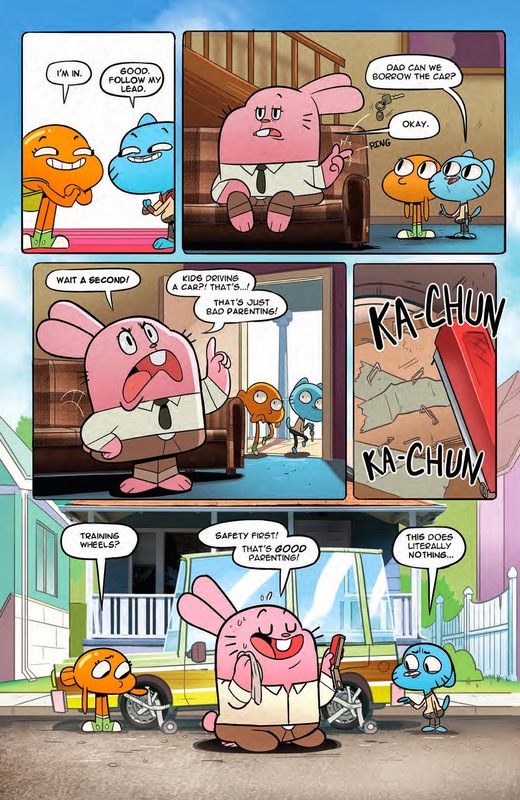 The book hits stores June 25 with interiors below.